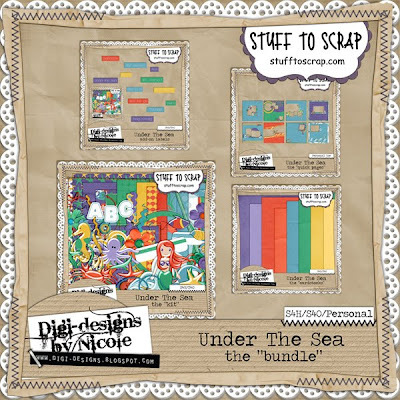 Digi-designs by Nicole has released a fun new kit called Under the Sea. 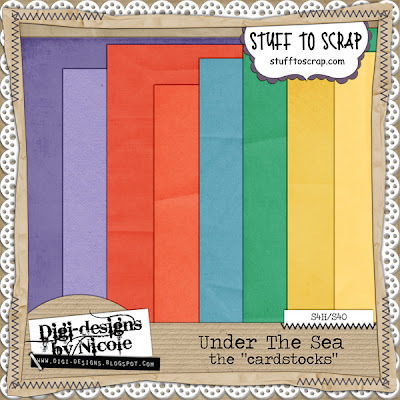 This fun bright kit is perfect to scrap your family or kid pictures taken with Ariel from Disney. Or maybe your little one enjoys dressing up as Ariel. 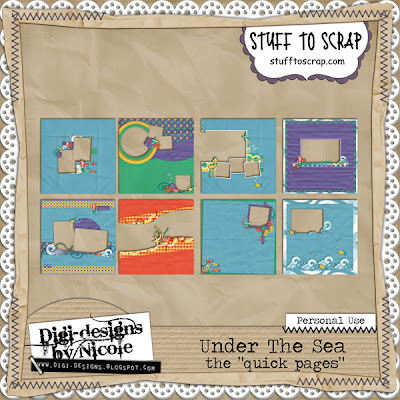 But don't stop there, this works well for beach or playing in the water pictures too. 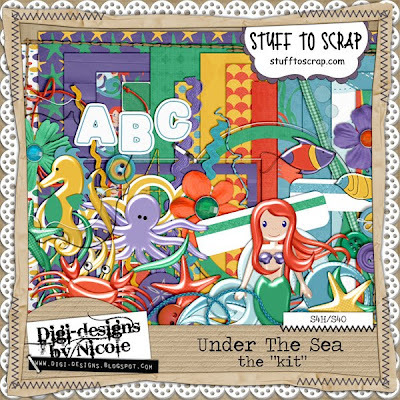 So many possibilities in one fun themed kit. 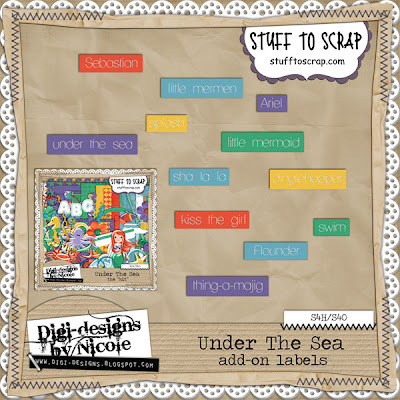 This week only all Under The Sea products are 30% off.